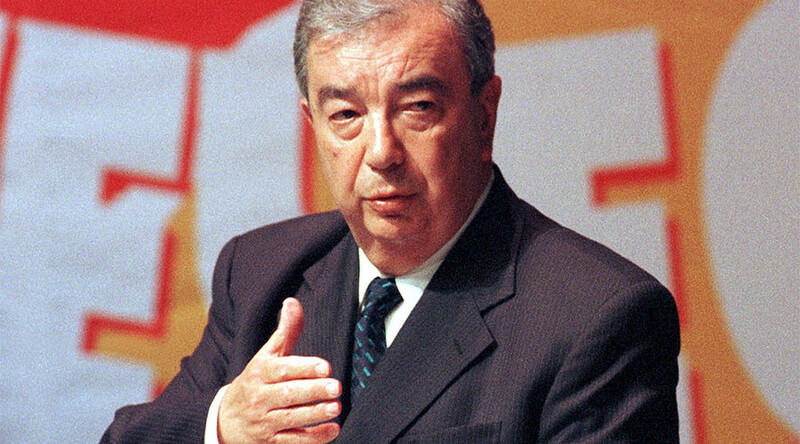 A ham-fisted attempt of the US intelligence services to recruit a Russian diplomat resulted in a delay in the delivery of a rare medicine needed for the treatment of legendary Russian statesman Evgeny Primakov, the Foreign Ministry spokesperson said. The scandal, which was previously never made public, was revealed on Sunday by Maria Zakharova in an interview with Rossiya 1 TV. It happened sometime before Primakov’s death in June 2015. According to Zakharova, doctors treating the legendary diplomat needed rare medicine that was available at the time only in the US. Time was of the essence, so as a favor to its former chief the Russian Foreign Ministry organized the purchase of the drug through a practicing US doctor. An embassy employee was supposed to pick up the package and deliver it to Moscow through diplomatic channels. However, the emissary was stopped by people, whom Zakharova described as “agents of American special services.” She said the Russian diplomat was taken to the basement of the building and kept there, unable to contract the embassy. “They kept him there for an hour. And the way they spoke to him looked more like an attempt to recruit an asset rather than a regular conversation. They were threatening him with accusations of illegal trafficking of medical drugs,” she said. The ministry spokesperson assured that the purchase was perfectly legal, citing the fact that the prescribing doctor was neither stripped of his license, nor charged with any crime. The diplomat, who had immunity from prosecution, was eventually let go, but the drug was confiscated. The unnamed intelligence agency behind the move didn’t even repay the cost of the purchase to Primakov’s family, which amounted to about $10,000, Zakharova added. The Americans did much to atone for the diplomatic gaffe, including organizing consultations between Primakov’s doctors and American doctors specializing in his condition. They also did everything possible to deliver the drug in question as soon as possible, Zakharova acknowledged. “Unfortunately time was lost. A lot of time. I am not a doctor to judge the consequences. But time was lost,” she said. Zakharova said her story showed the disarray in the Obama administration and how the intelligence community could clash with the State Department on the most sensitive issues. She believes American spies were deliberately undermining all diplomatic ties between the US and Russia because they wanted to embroil the two nations in a conflict. Adding insult to injury, the diplomat targeted for the recruitment was expelled over a phony accusation of illegal trafficking of medical drugs, Zakharova added. Primakov died in Moscow in 2015 from liver cancer aged 85. He is mostly remembered for his long diplomatic career, but he also served as Russia’s prime minister, chief of foreign intelligence, head of the Trade and Industry Chamber and as a member of parliament. He was also an accomplished scientist specializing in Arabic studies and economics and a prolific non-fiction writer. The revelation comes shortly after the US intelligence community accused Russia of interfering with the American presidential election. The accusations were not backed by evidence of any wrongdoing on the part of Russia, with the Obama administration claiming it was highly classified.